SANDY — Dixie senior goalkeeper Ethan Poulton made save after save Friday night against Juan Diego, but even Superman has his kryptonite as Juan Diego’s blistering offensive attack finally capitalized on a golden goal in overtime to help the Soaring Eagle get revenge on the Flyers and advance to the 3A state soccer championship, 1-0 at Alta High School. 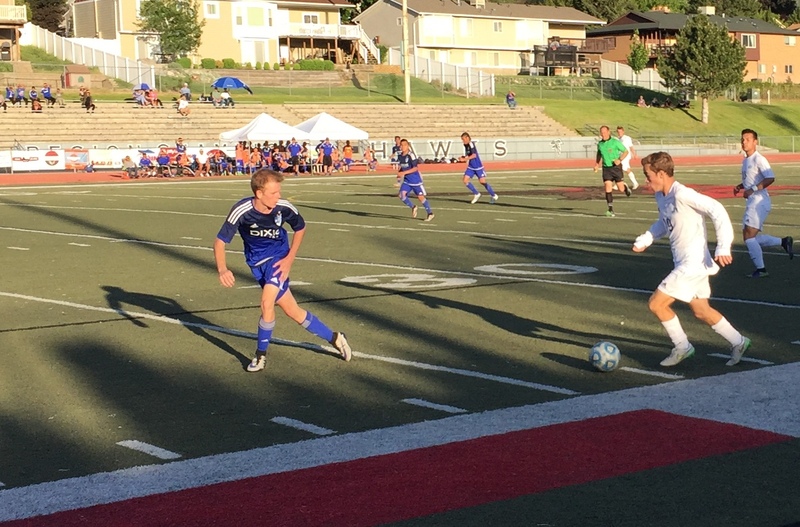 Juan Diego, which was on the receiving end of a semifinal golden goal loss last year to Dixie, exacted its revenge by slipping past Poulton on a 1-on-1 opportunity. To Poulton’s credit, he had stopped several 1-on-1 attempts earlier in the game, but this attempt was the proverbial straw that broke the Flyers’ backs. In a match that saw 92 consecutive scoreless minutes of game play, the Soaring Eagle, who largely out-possessed and had more quality opportunities on goal than the Flyers, finally obtained separation just eight minutes before it would have come down to penalty kicks. Juan Diego orchestrated a nifty give-and-go, assisted by Ruben Castillo, with Michael DiGeronimo just sliding the game-winner by a lunging Poulton. “We were all tired,” Castillo said. “But I knew that my teammate, Michael DiGeronimo, always has the speed and would make the perfect run, so I knew when he gave it to me he would make the overlap run and cut it back and I got him the ball. DiGeronimo agreed with his teammate. Juan Diego head coach Scott Platz noted the way Poulton was playing, that he was glad to win it before it went down to penalty kicks. Flyer head coach Burt Myers praised Poulton and admitted that on this night, Juan Diego was simply the better team. The Flyers finish their season 13-4-1. 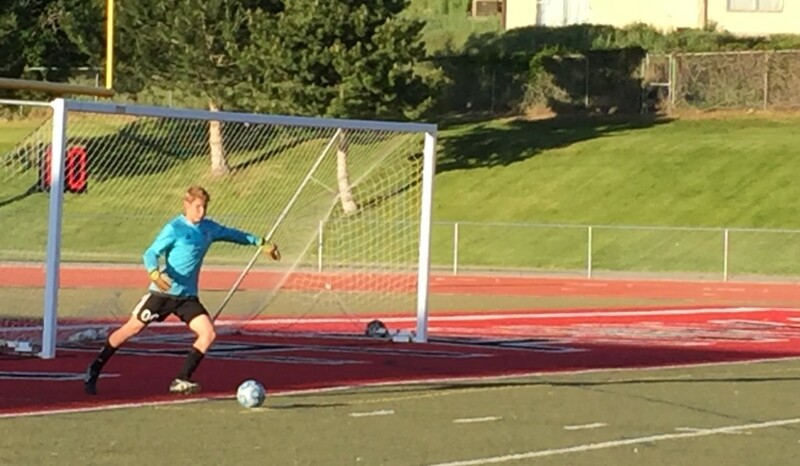 Juan Diego (17-0), will put its undefeated record on the line Saturday at 11 a.m. against Snow Canyon (15-3-1) in the 3A state championship.